Mizumura Shinta is a plain undergraduate student. One day, he meets a transfer student from Romania, Kishimoto Lilith. She is a half human and half vampire. Through the life with Lilith, he knows the secret of his birth. He is the sole descendant of the Romuald clan, the vampire hunters. Watch Holy Knight Episodes Online at Animegg.org. 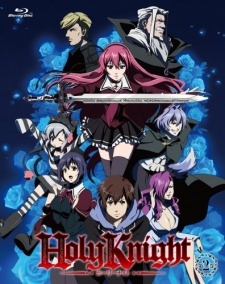 Holy Knight is available in High Definition only through Animegg.org. Choose an episode below and start watching Holy Knight in Subbed & Dubbed HD now.